The Who's TOMMY, winner of 5 Tony Awards on Broadway, including Best Score, bursts onstage in an all new thrilling production. With music and lyrics by Pete Townsend and book by Mr. Townsend and Tony Award winning director Des McAnuff, this upbeat production features a stellar Broadway cast and includes the classic songs "Pinball Wizard," "Sensation," and "Listening To You." TOMMY sizzles with a red-hot orchestra, powerhouse performances and stunning projections from the original Broadway production. 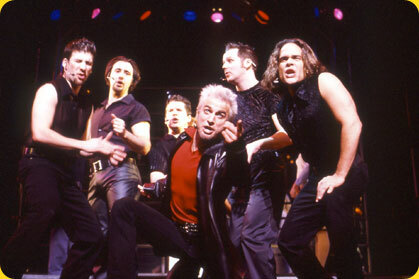 The Who's TOMMY is a unique rock musical about family, redemption and forgiveness. Don't miss this exciting new production that will rock the house!